You’ll be amazed at the sheer variety of textures and colours that First Choice Blinds have available to help you create a characterful interior that suits your décor perfectly. First Choice Blinds Wooden blinds combine the practicality of being lightweight and tough, with the beauty of a stunning grain and smooth finish. Choose the natural wood tones of our Sun wood collection for a warm and welcoming feel. Or, if you want a more rustic look, our Decora range has a charming, pre-loved finish. And for a truly individual look, First Choice Blinds can personalise your blind with coloured and patterned tapes. So, whether your style is subtle and understated or outrageously flamboyant, we’ve got lots of great options for you. Best of all, the wood we use is grown in sustainable forests, so you can choose your blind safe in the knowledge that it’s been sourced responsibly. 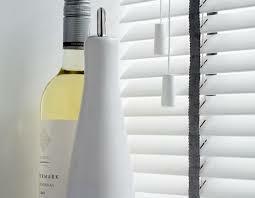 First Choice Blinds know that some rooms, particularly bathrooms and kitchens, require a high performance finish. That’s why we’ve created our wood effect range. 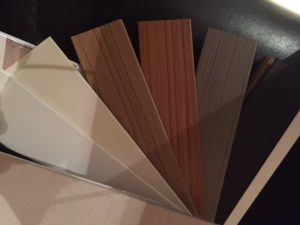 Available in painted and natural finishes, our faux wood blinds combine the beauty of natural wood with water resistant qualities that are just perfect for rooms with excess moisture. 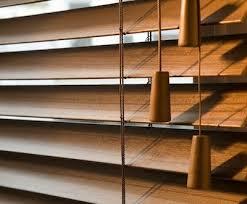 Why choose made-to-measure wooden blinds? 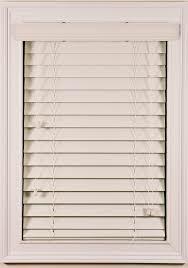 Let’s face it, measuring and fitting a new blind can be a bit of a headache, especially if you buy a standard size. 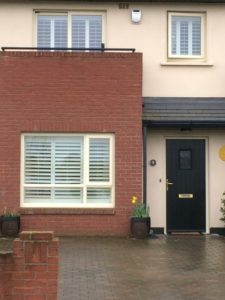 You end up having to either cut the blind down to fit, or live with a blind that isn’t quite wide enough, leaving an unsightly gap between the blind and the window frame. That’s why we’re proud to offer our made-to-measure service, so you can be confident that your wood blinds will fit your windows perfectly.